Like myself, I’d imagine most people will be aware of Gulliver’s Travels as the book where the little people tie down the hero. What I didn’t realise before reading it was that Gulliver’s adventures in Lilliput are just one of four parts, as the hero visits a series of different lands. Swift’s writing is very dry prose that demands the reader’s full attention. I was reading partially during my lunch break, and often not quite taking in what I was reading, having to go back and read it again. According to the introduction, traveller’s diaries were a popular genre at the time, full of fantastical stories that modern readers would recognise as fantasy. John Mandeville, an ‘explorer’ a few centuries before Gulliver, told a series of ludicrous lies which were apparently one of the motivating reasons for Columbus’ most famous voyage. 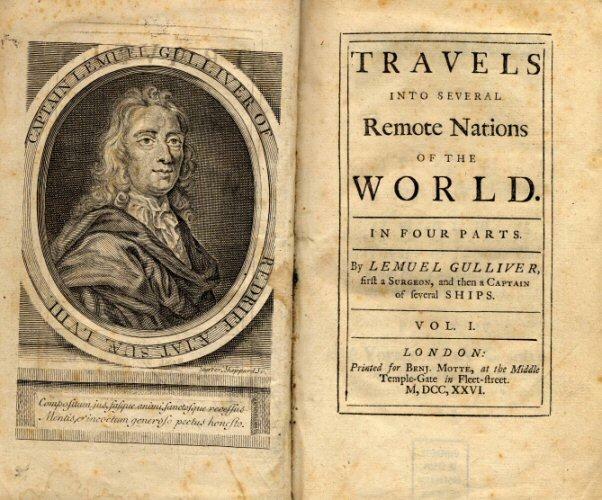 Gulliver, the narrator of his adventures, states near the beginning that he’s travelled to the places in other books, only to find they were much more mundane than the tales, and left him disillusioned, pretty much pointing out up front that the book is a deliberate exaggeration of this genre. The original opening pages. Complete with ‘f’s where there should be an ‘s’, the silly man. It’s probably not the most obvious description to apply to the book, but Gulliver’s Travels is fun and inventive, in a dry, understated, deadpan way. As a taste of the kind of thing I mean, in A Modest Proposal Swift put forward an argument for solving Ireland’s twin problems of overpopulation and lack of food…by eating their own babies. But by the tone of writing, many people at the time thought that Swift, an influential political figure in his day job, was putting this forward as a serious suggestion. There’s nothing quite as radical in Gulliver’s Travels, but that kind of mad invention and deadpan tone are on display throughout Gulliver’s Travels. 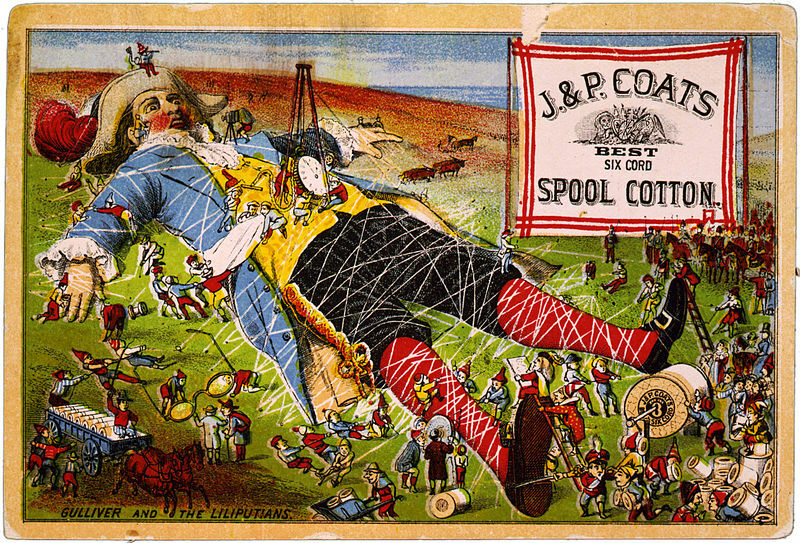 Part I covers Gulliver’s adventures in Lilliput. These aren’t laugh out loud hilarious, but pretty funny in an understated deadpan way. They’re written in a way you could believe that the extreme events really happened. In Part II Gulliver visits Brobdingnag, a land of giants just north of California, and offers a semi-plausible reason why they had remained out of touch with the wider world, before, amongst other things, fencing with a giant fly. It’s a bit hard to get into the mentality of a 17th century reader and understand their understanding of the world, at a time when many corners of the world weren’t fully mapped out. But the tone really sells these crazy stories. Although I don’t imagine much of this has survived into modern TV and movie adaptations, there’s a fair bit of pretty silly contemporary satire. There is a major religious divide in Lilliput is over which end of the egg is the moral end to crack, and the people of Lilliput are buried vertically, and upside down, in the belief that Judgement Day will begin on the far side of the world. Personally, my favourite parts of the book were the less famous Parts III & IV. 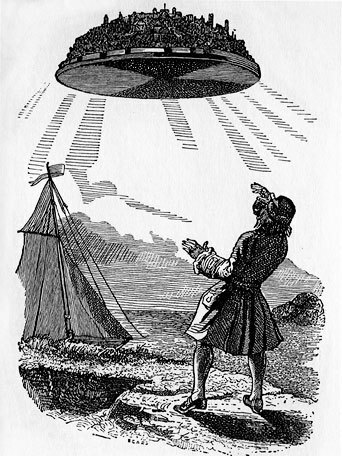 In Part III Gulliver travels to Laputa, which, thanks to a mineral naturally occurring in its soil, floats in the sky. Laputa is a nation of incredibly talented mathematicians, who have very little understanding of any other subjects, but feel their mathematical genius qualifies them to be experts on everything. Interestingly, according to the notes (I read the 2001 Penguin edition) the people of this nation were based on Swift’s political opponent, Sir Isaac Newton. Yes, the same one. Gulliver then visits the projectors of Lagado, a nearby nation. Influenced by Laputa, they had embarked on a series of grand plans to utterly reinvent their society, very few of which work. If you were a reader in the 17th century, why WOULDN’T you believe this really happened? In Part IV Gulliver travels to the land of the Houyhnhnms, a race of hyper-evolved horses so noble and idealistic that they have no understanding of the concept of lying. The Houyhnhnms are noble and logical, but contemptuous of the barbaric humans (the Yahoos) who live amongst them. The Houyhnhnms and the increasingly impressionable Gulliver put together a strong case against the barbarism of the wider world, while allowing their own love of reason to lead them down a quite horrific path. While I thought Part III was the cleverest of the stories, Part IV was the section that grabbed me most on an emotional, instinctive level. I’ve no supportive evidence for this, but reading Part IV it struck me as a possible inspiration for Planet of the Apes, so deep are the similarities. However, in spite of all that, Gulliver’s Travels is, to a large extent, defined by the time that produced it. Though the notes explained what a reader of the time would have been reminded of, the explanations understandably interrupted the flow, and I’m sure many things would have struck a 17th century reader that didn’t occur to me. Verdict: A drily written adventure, with a mixture of satire and silliness, that’s most entertaining and imaginative in the lesser known sections. Since the horrors of Hillsborough and the rebranding of English football under the Premier League logo, the culture of the game has changed dramatically. 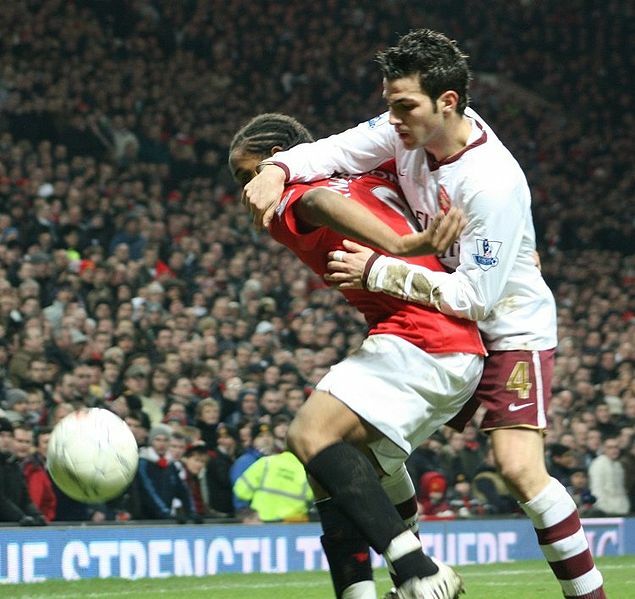 Football has moved away from the gritty, working man’s game it once was, with players being required to be hyper-drilled athletes, smooth and inoffensive in front of the cameras, in case they accidentally say something that could affect one of the club’s sponsors. This has resulted in an interesting contradiction – there’s never been more ways to interact with players, and learn about their lives, but the truth is often hidden away behind a glass-sheet of superficial perfection. Two respectable English chaps play the gentleman’s game, what what? While of course the game itself is the main draw, getting inside the head of the players we admire, understanding how they push themselves to the levels they do, and what their lives away from the pitch are like, are also more than a little intriguing. Around two years ago, a footballer began sharing stories of his playing career in a weekly column in The Guardian. To avoid repurcussions, not to mention offending his team-mates and family, this column was published anonymously, under the name of The Secret Footballer. Last month saw the publication of the player’s autobiography, I Am The Secret Footballer. I have reviewed the book for Born Offside. The Devil Rides Out is a story of Satanic worship in upper class 1930s Britain. 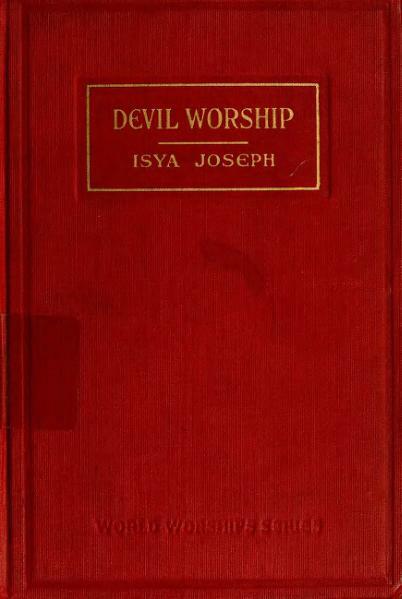 Wheatley was a very prolific writer, and Devil is drawn from his Modern Musketeers strand. The titular musketeers are 4 friends – the elderly French exile De Richelau, the American adventurer Rex van Ryn, family man Richard and supernaturally curious Simon. The characters are colourful but not that complex. Going back to the original Three Musketeers, Aramis wasn’t that good a fighter, and was waiting for his opportunity to join the priesthood; one of the others had a secret past that was slowly unveiled. They’re surprising and contradictory in ways that draw you in, make you want to learn more about them. In addition, there’s not much in the way of inner desires – D’Artagnan wanted to prove himself, Aramis to reconcile his womanising and desire to become a priest, but there’s not much of that here. Having said that, the characters are easy to tell apart, ‘iconic’ and recognisable in their own ways, but lack depth and interesting contradictions within their characters. Action stories (film, television or prose) tend to have action and mystery, a chain of dramatic events, each leading to the next, but also a mystery. Who’s involved, what are they doing, how deep does it go. There’s none of that here – you can tell from early on roughly how it would end, and who’d be involved in the climax. The magic, black and white (or ‘right hand’ and ‘left hand’ paths) feels real – it goes beyond the stereotypical trappings of magic – eye of newt and so on – and feels like a system of magic that could have grown up over time, that has it’s internal consistencies that make sense on their own terms. The Devil Rides Out is a ‘smart’ action adventure – the antithesis of something Michael Bay would produce. There’s not enough tension or mystery to make the story as compelling as I’d like it to be. It’s a bit hard to put my finger on the problem – the action moves pretty fast, the ‘rules’ of magic are believable, and the characters were interesting enough to make me care about them. But I didn’t feel the kind of compulsion to race back to the book in the same way I did with Reacher and The Hunger Games – it’s almost a matter of being worried that the protagonists will be okay, but with Devil, I didn’t feel for them. Writing this review made me think about rules particular to the action genre. I’m a fan of the Jack Reacher books, and I’ve this year read the first two Hunger Games books. In The Hunger Games, it’s obvious the main character isn’t going to die in the middle of the book (partially as she’s the narrator) but there’s always the belief that other, well-developed and likeable characters will die, and horrifically. With the Modern Musketeers being in a series of books, it feels a little like when watching an ongoing TV programme – they won’t kill him, he’s a main character – and they won’t change dramatically over the course of the story either. The Devil Rides Out is over-written compared to them, and slows the speed of the action. It’s fine for Dickens to spend time describing the appearance of a person or building, but in an action novel, the story needs to move more swiftly than Devil does. Each chapter with a cliffhanger, and I think they were pretty much all interesting ones, there is still a lot to enjoy here. Despite how it may seem above, I enjoyed the book, but I wasn’t totally gripped by it. The Devil Rides Out is a derring do/boy’s own adventure, fantastical and escapist, and while darkness and the possibility of failure would go against the point of what the writer wanted to achieve, the lack of real danger stops it from being a page turner. Verdict: A well-written, well thought out action adventure, but which lacks mystery or tension. I’ve recently finished reading Heart of Darkness, Joseph Konrad’s novella set in late 19th century Africa, which inspired Apocalypse Now. I’m one of the few people who’ve not seen the film, so I won’t be able to make any comparisons – though there was a disappointingly low number of helicopter attacks. Heart of Darkness in the Belgian Congo, where crews of various nationalities are working under the power of ‘the company’, who have established a more imperial than capitalist foothold. The story begins with Charlie Marlowe on the banks of the Thames as night falls, telling the story that follows. The blurb of my copy claims that Konrad inspired Orwell, Golding, Celine, Borges and Eliot. Being a bit of a philistine, Orwell is the only of those I’ve read, but the writers that came more to mind as I was reading were JG Ballard and Joseph Heller. Ballard’s novels use strange worlds and situations to look at what happens to seemingly civilised people when taken out of civilisation. Heart of Darkness reminded me in particular of The Drowned World, set in a London that’s became a post-apocalyptic swamp. As for the comparisons to Heller – the company appears to be a beauracratic mess. A specialist and highly skilled brickmaker is sent where there are no materials for him to work with, and when a ship runs aground and rivulets are needed to repair it, Marlowe is able to get his hands on everything but. The comedy (or it might be better to call it cynicism) is played deadpan, as opposed to the sometimes zany tone of Catch 22, but there were a few moments that were sharply funny in the same way. The main idea running through the novel is the effect the environment (the heat, humidity, distance from home) has on people – are they driven slightly mad, or are their true selves coming out? There’s grand talk of civilising the natives, but most of the characters don’t seem to think much of them, and there’s regular use of the ‘n word’. (No, I don’t mean native.) There’s an interesting comparison with Roman soldiers travelling to primitive and remote Britannia, far from their loved ones and what they considered civilisation, so the author clearly knows what he’s doing, rather than having ‘outdated’ views himself. There isn’t a definite, clear narrative – the novel is more a series of things that happen. Whereas in Apocalypse Now, the hero is assigned to retrieve Kurtz near the start, the plot in Heart of Darkness develops in stages. 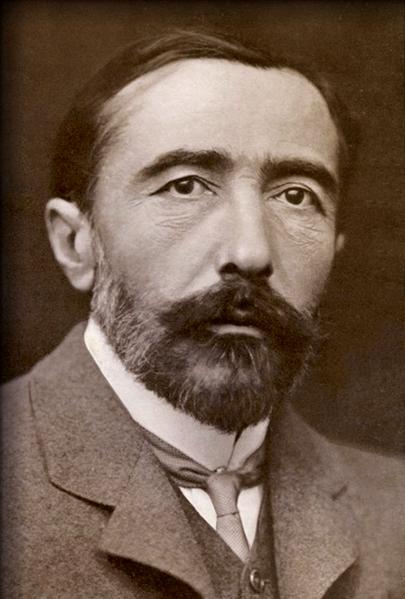 It’s personal ambition, rather than orders, that take Charlie Marlowe to Congo. He spends time adapting to the environment (where he hears a series of whispers about the missing genius Mr Kurtz) before he is assigned to bring him back to Europe. But the absence of a strong narrative works well for the book. The substance is the taking apart of moral frameworks – imperial worldview of the company, Marlowe’s more subtle morality, and Kurtz’ grand ambitions. All of this is told in prose that’s detailed and enveloping without being too rich, does a lot to build the feeling that Marlowe is feeling, of the Congo getting under the skin. Verdict: A landmark and influential novella, with provocative ideas and a dash of cynical humour. If you’ve been paying attention to this blog, you may have noticed that I’ve fallen behind on book reviews. At the turn of the year, I started a commitment on another website, to read at least 52 books over the course of the year. The idea is that, with so many easy distractions – televisions that can record entire series to watch at the viewer’s convenience; a whole internet full of articles on every subject, written in sizes that can be digested in ten minutes – sometimes it’s important to arrange the time to read, as a little more effort is required. In addition, I’ve been intending to review all of the books I read, partially in order to keep in the habit of writing, partially in order to think about why I like or dislike the stories I read, partially in order to advertise my reviewing abilities to anyone who’s interested. I intend to get back into the groove of reviewing as I read, so I can do so while thoughts are fresh in my mind. 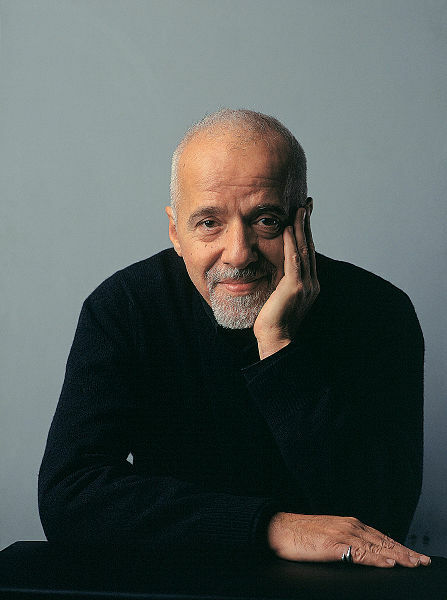 There will be exceptions – obviously some of the thoughts I’ve had on the two Paulo Coelho books are interlinked, so I’ll review Veronika first, to pass on the thoughts I had in the order that I had them. Hopefully by the end of June I’ll be up to date, provided other things don’t get in my way.